Protect Access to Reproductive Healthcare! 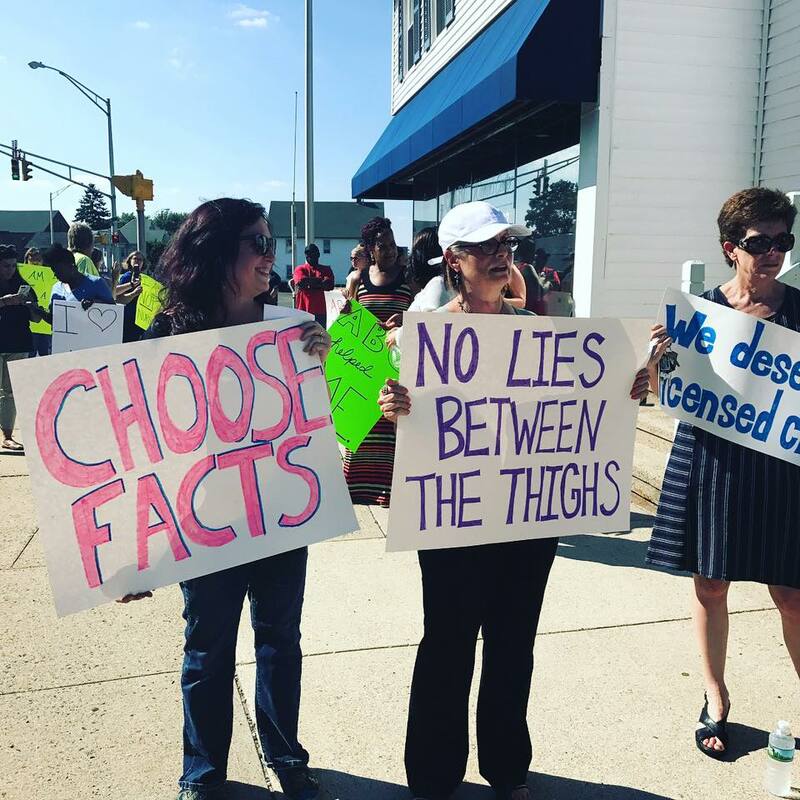 Right now, CT residents are being lied to, deceived, and shamed by anti-abortion CPCs when they are seeking legitimate medical care. When someone is seeking a clinic, they should be able to find one. No deception, no delays, and no shame. In December 2017, NARAL Pro-Choice Connecticut supported the passage of a city ordinance in Hartford to limit the deceptive practices of CPCs. In 2018, we are committed to ending the deception statewide. The mission of fake women's health centers is to pressure people facing unplanned pregnancies to carry their pregnancies to term, no matter what. These anti-choice centers are unlicensed and unregulated by the state, and often use deceptive dvertising and signage (i.e. “Pregnant? Scared? Need help? ), delay tactics, shame, and medically inaccurate information about abortion and contraception to pressure people about their health care decisions. The deceptive practices of these fake clinics are a disruption in the community and a direct threat to time sensitive reproductive health care. We need you! Volunteer with NARAL Pro-Choice Connecticut! Hartford GYN patient support- Hartford GYN Center is the last independent abortion clinic in CT. Volunteers for the clinic help write support notes to patients, act as clinic escorts or legal observers, help us with outreach and tabling events, and more. House parties/Organizing parties - Want to hang out with your friends and learn about supporting reproductive rights? One of our NARAL staff will join your party to talk about the work that we do. Organizing parties are one of the easiest ways to learn from each other and build our grassroots base. Administrative work - We always need help with day-to-day paperwork, data entry and research, and decorating our office! Some of this work can be done in our Hartford office, and some can be done from your home. Supporting legislative work - This may include showing up for days of action, press conferences, and public hearings at the Capitol, calling elected officials, and writing letters to the editor.